Grab your paintbrushes....and let's watercolor with Radiant Neon ink! To begin, ink Poppy Trio (Penny Black) in Claret and Jet Black StazOn and stamp on watercolor paper. 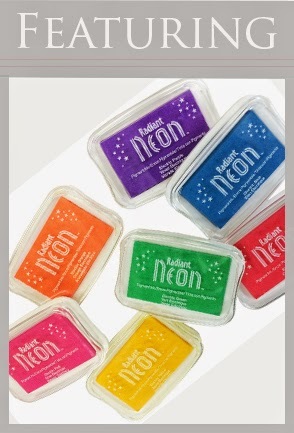 Press the Radiant Neon ink pads on an acrylic block to create swatches of ink. Lift the color from the block with a damp paintbrush and color the flowers. "Fussy cut" the flowers with scissors. For embellishment, spray the flowers with Sparkle Sheer Shimmer Spritz and dab tiny drops of Goosebumps textural spray in the centers. Die cut the swirl border from white cardstock and adhere to a small rectangular piece of forest glen cardstock. 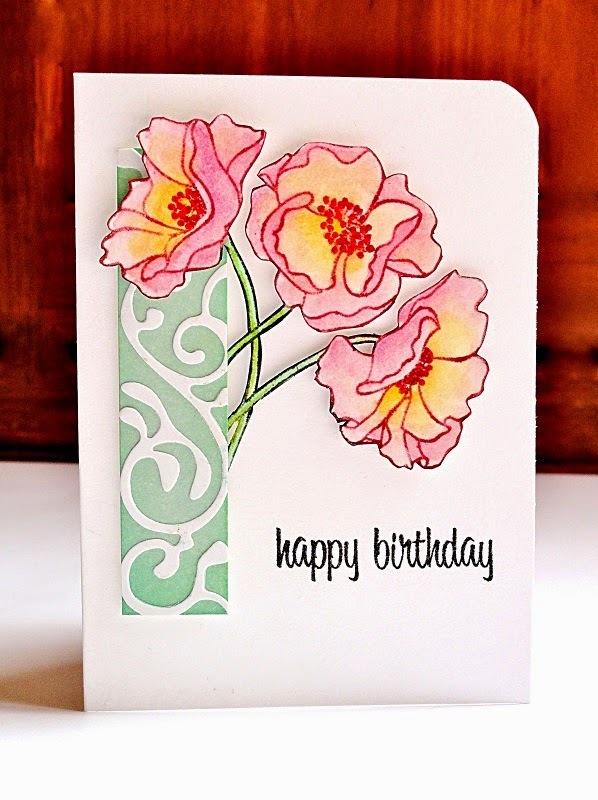 Tuck the trimmed flowers behind the accent strip and attach to a Les Petites card base with dimensional foam tape. Stamp the sentiment in black and round the top right corner.